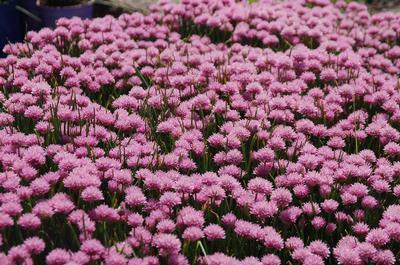 'Rising Star' Garden Chives combines beautiful blooms with edible grayish green foliage. 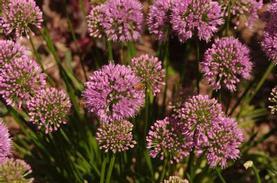 The spherical flowers are lavender purple, and bloom from late spring to early summer. The spent flower heads are also attractive, and can be added to dried flower arrangements. 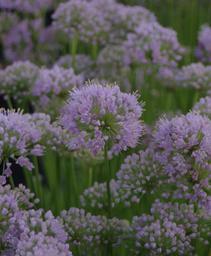 Like other edible chives, Allium 'Rising Star' will seed itself readily in not deadheaded. 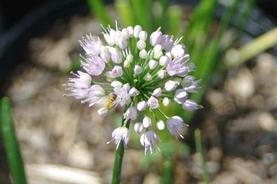 This ornamental Onion is totally deer resistant, and we introduced by Intrinsic Perennials.